A lot of people ask us how we can be world-famous food bloggers and keep our “girlish” figures at the same time. The answer is that we ride thousands of miles on our tandem bicycle every year. In fact, we are approaching the 4000-mile mark for 2015. Our rides have taken us all over Georgia, the United States, and the world. Today, we find ourselves in Newnan at the end of a short ride. 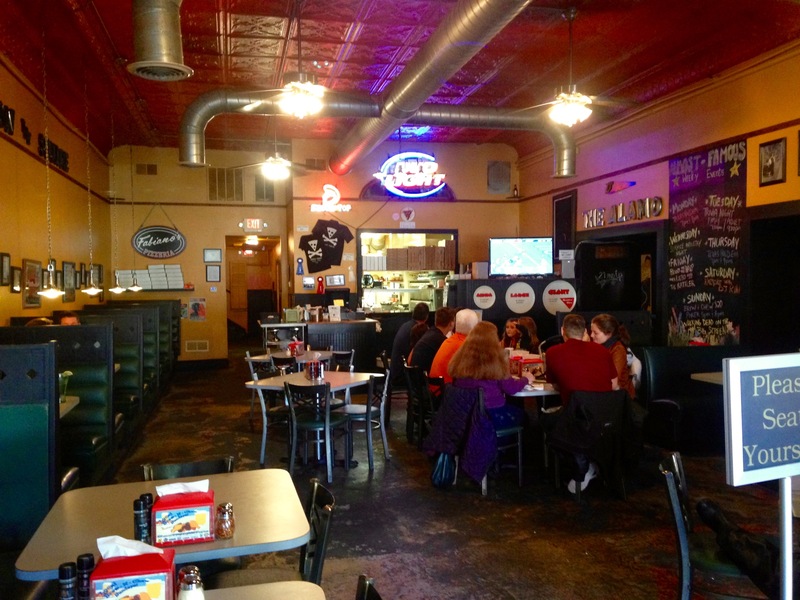 We last visited Newnan a few months ago and ate at Golden’s. 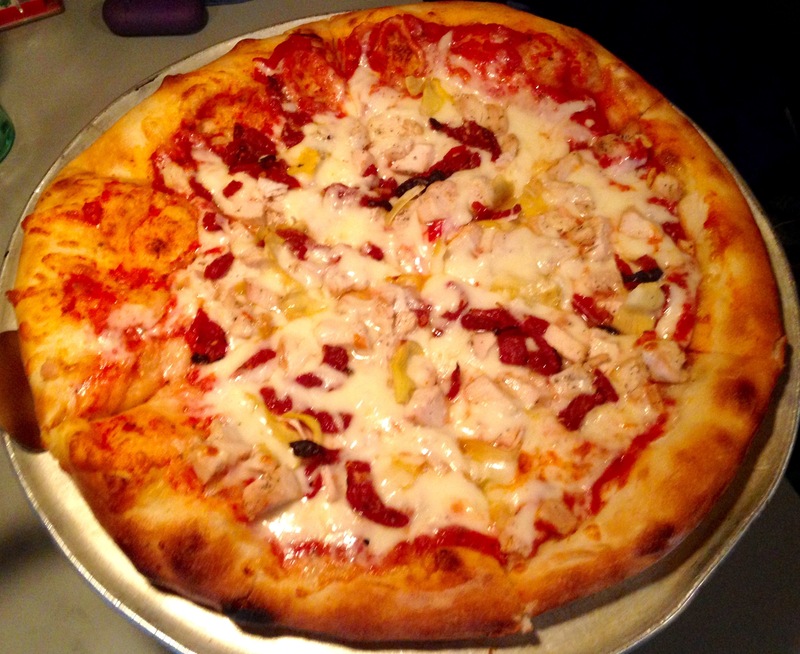 We want pizza for lunch and fortunately for us, Fabiano’s is open and the pizza oven is hot. Fabiano’s is located in beautifully restored “downtown” Newnan, right across the street from the courthouse. It opens into the old Alamo theatre, where you can see musical acts almost every night of the week. We are so hungry that evidently we forget to take a picture of the outside of the restaurant. Our bad. 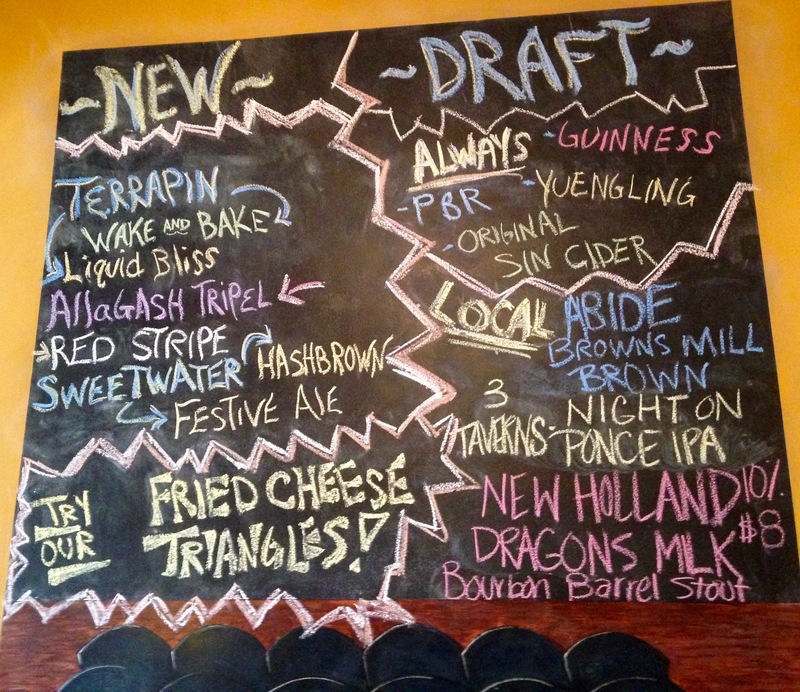 It’s easy to walk right past the beer board when you come inside. We sail right past it and make our server tell us what’s on draft. Oh well, servers should know their menus, right? 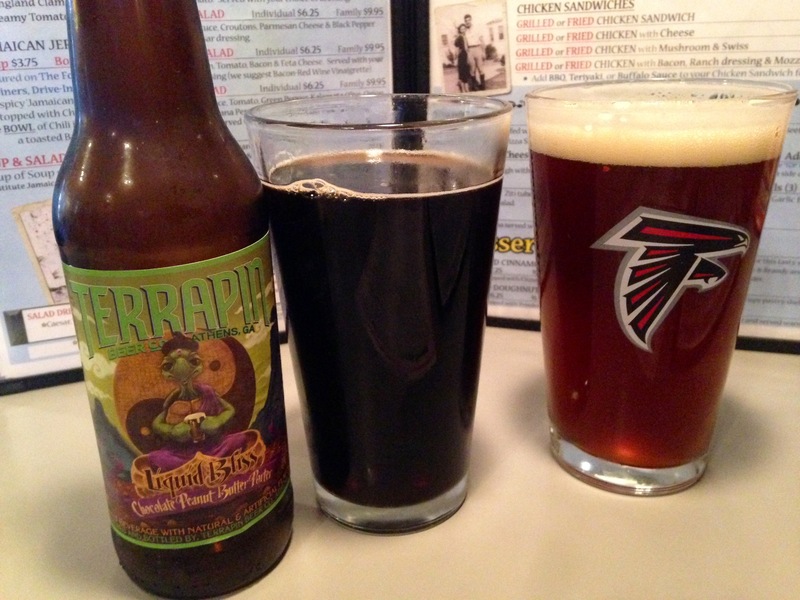 We don’t usually have beer at lunch, but we want to try the Abide Browns Mill Brown. It’s the one on the right. Abide is located in Newnan and we haven’t had their beer yet. It’s only available in this area and this beer is good. It reminds us a lot of Cigar City’s brown, and that’s a compliment. Eve goes with the Terrapin Liquid Bliss. It’s full of peanut butter, which is the first thing you taste when you sip it. Peanut butter goes with everything and it’s delicious in this beer. Both breweries would be sad to know that their lovingly crafted brews are being served in Bud Light glasses here. We order a pizza and a salad. Our salad comes right out, and sticking with the theme of the day, we forget to take a picture of it as well. It’s just romaine lettuce, some mozzarella cheese, tomatoes, cucumbers, and carrots. You have probably seen a salad like this before. The salad is devoured quickly. Meanwhile, we wait on the pizza, and we watch Georgia come back against Auburn. A nearby table gives us dirty looks and we figure out they are Auburn fans. We continue to wait on the pizza. And we keep waiting. Finally, forty-five minutes after we order it, we greet the California pizza. Previous Post Happy Anniversary, Figo Pasta!